For the second year running, G.L. 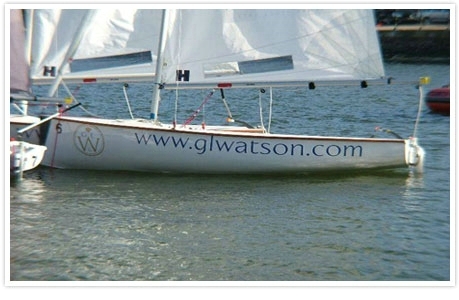 Watson & Co. sponsered the Wilson Trophy. Held annually at West Kirby Sailing Club the event is the world’s premier match racing event with teams competing from around the globe. Olympic sailors often compete in the event, and the action is fast and furious. G.L. Watson’s are proud to be associated with this event and to have the opportunity to support young sailors competing at the highest level of their sport. The Wilson Trophy consists of three-boat teams, who battle for the championship in seven-minute races. Each and every race requires breathtaking feats of precision boat-handling and crash-and-burn tactics; sailors use every ounce of talent and training to gain advantage. G.L. Watson staff attended throughout the weekend which culminated in a grand final that was dominated by the NYYC based Team Extreme against last years champions West Kirkby Hawks. Congratulations to Team Extreme on their 3 – 0 victory.